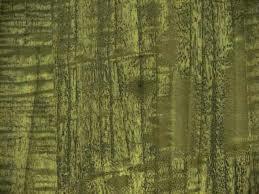 How Green is Laminate Flooring? The answer: Extremely. Made mostly from recycled materials, it also doesn’t require the cutting of trees or the mining of other natural materials. That’s all true, but in fact, laminate has a more compelling and authentic sustainability story to tell. The primary material used in the construction of laminate flooring is high-density fiberboard (HDF) which is most often made of post industrial saw dust with the addition of binding agents. In fact, as much as 70% to 90% of the product is made from recycled content, making use of materials that would otherwise go to landfills. The visual layer of laminate flooring is also made of wood products - paper. That carries the high-definition printed image. A wearlayer of melamine or aluminum oxide is applied to finish the floor. Laminate manufacturers do take environmental sustainability very seriously as much to control costs as to a genuine commitment to sustainability. If it’s a sustainable floor you’re looking for, laminate is a great choice. Every laminate manufacturing plant that I have been to (6 so far) is a highly efficient, very clean and sustainably run facility that takes active measures to minimize negative environmental impacts. Almost all of the waste created during manufacturing is also used, typically burned as fuel or recycled. No trees were harmed in the making of this laminate floor.